Mitsubishi i-MiEV to the U.S. It looks like Mitsubishi will be selling it's electric i-MiEV (Mitsubishi Innovative Electric Vehicle) in the U.S. According to Autoblog, Mitsubishi will announce at the New York Auto Show that the vehicle will be in The States before 2012. 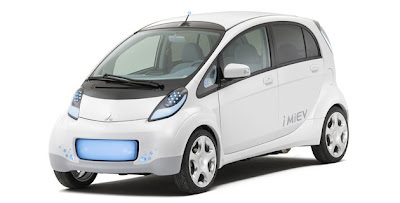 The i-MiEV does already have a gas-powered cousin on sale in Japan simply call "i". 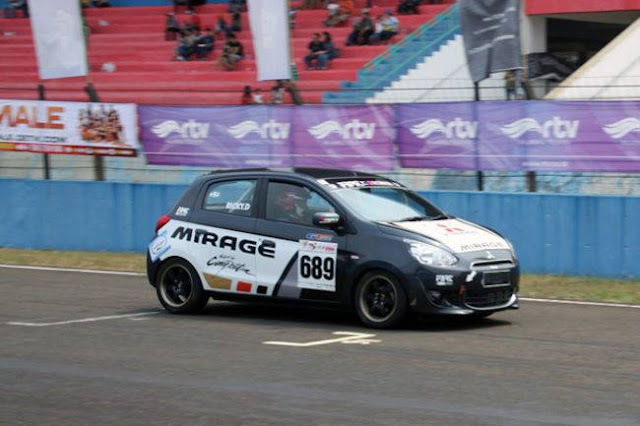 It's powered by a 660cc turbo MIVEC engine (Mitsubishi's variable valve timing system). However, according to the "First Drive" by Edmunds (which was done in February, 2008; see link below), the i-MiEV only weighs 397 lbs. more than the gas version. 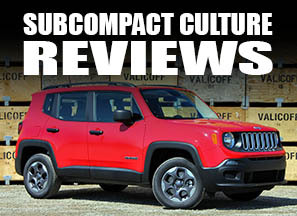 Plus, it's no slouch performance wise with a 0-60 time in under nine seconds. It makes 63 horsepower, but a whopping 133 ft./lbs. of torque (electric motors have great and nearly instant torque, too). Range is apparently around 100 miles. A lot more info on the i-MiEV on the Edmunds link below. As a former Mitsubishi owner (my family were repeat offenders owning about seven Mitsubishis in a row during the '80s–'90s), it's good to see them pushing forward with something innovative in the U.S.—they need to. I love the i-MiEV and it's about time Mitsubishi brought over something that is more global and environmentally oriented than most of their other offerings.They have not offered true subcompacts in North America for a long time.In Canada Mitsubishi has a younger,less affluent demographic of buyers so they could pull sales away from both the Prius and Insight with the adorable i-MiEV. I couldn't agree more, T.G. As a former Mitsu lover, its current offerings, sans the EVO, are all pretty blah to me. It's nice to see them innovating a bit instead of just staying alive. Also, if you're reading this, Mitsubishi, please bring over the Colt. Thanks.